It’s no secret that on average Americans are getting heavier, and it isn’t from muscle weight. We’ve all seen the studies and listened to countless broadcast reports on the subject. We are bombarded with radio and television advertisements for herbal supplements, specialty diet pills, exercise videos, even diet plans that will send meal-size portions of authorized food to your door and all you do is microwave them on schedule before the pounds begin to shed, right? If any of you suffer from insomnia as well as being overweight, you’ve probably heard of at least a couple dozen “guaranteed” pills that you can order online or by calling a toll-free number. Walk into any pharmacy section and you will likely discover an area stacked with at least 50 different weight loss aids. In a 2013 study by US News and World Report, it is estimated that Americans spend more than $60 million annually on weight loss products, programs and services such as gym memberships. In 2012, the Centers for Disease Control and Prevention estimated that 34.9 percent of adult Americans were considered “medically obese,” meaning their body mass index exceeds 30 percent. By comparison, in 1990, only 10.2 percent of Americans qualified as obese. Among children, approximately 17 percent are considered obese, though the average figure varies greatly within the specifically surveyed age groups of 2-5, 6-11 and 12-19. Not only are options available on the store shelves, but medical science offers many doctor-supervised weight-loss programs. In the Highlands County area, at least two such programs are offered. After a client comes in for an initial consultation, they receive a complete physical and comprehensive body scan analysis to determine how many calories the body uses on a daily basis. After the lab results from the physical are received, they are reviewed in conjunction with the other tests and everything is discussed with the client. Depending on what the reports determine, and what the client desires, Nelson will typically create a formal diet and exercise program but seldom prescribes any prescription medication. Another option is provided by Dr. D. Keatley Waldron, a chiropractor in Sebring. 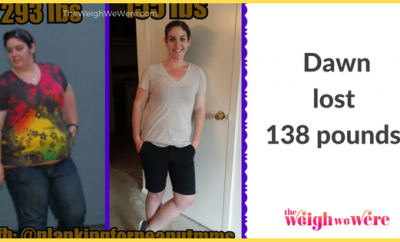 His program, Nutrimost, was developed by Dr. Ray Wisniewski, a renowned chiropractor, and it guarantees at least 20 pounds of weight loss within the first 40 days. Participants can attend an orientation seminar on Monday evenings to receive a comprehensive overview of the program. Nutritional supplement drops are then enhanced through Resident Frequency Technology to match the individual needs of the client. The diet is strictly regimented, removing all oils, fats and sugars. Clients are given a list of approved foods. The program will not work if dietary guidelines are not followed. The guidelines are: two 3-ounce (cooked weight) servings of approved protein, two servings of approved vegetables and two pieces of approved fruit per day. Clients must also monitor their intake of water or tea — it is not unlimited. The supplement drops are taken orally three times per day. In addition to the CERF, clients will weigh on a specialized body analysis scale to determine body fat and visceral fat percentages, body mass index, percentage of water in the body, bone and muscle mass and metabolic age. In addition to dietary restrictions, clients are also restricted from using many personal care products (toothpaste, mouthwash, lotions, soap, shampoo, lip balm), and any pans they cook must be an approved brand (prevents the transfer of harmful chemicals from the pan’s coating during the cooking process). The program promises no hunger or cravings, no exercise and a reset of your metabolism as well as your weight set point. If you don’t lose at least 20 pounds, you will be offered the opportunity to repeat the program at no cost. The program fee is approximately $1,600, plus participants will spend approximately $75 to $100 to purchase personal care items as required on the approved list, like shampoo, toothpaste, lotion, cookware, etc. Tina Murray, one of Waldron’s patients, started the program Nov. 1, 2013 and is currently on her second round of the program. “It’s been wonderful and has changed everything in my life. I was borderline diabetic, but now I have more energy and feel like a new human being. It’s a lifestyle change for me,” she said. Murray has lost 65 pounds and has had no trouble with the program. Waldron was unavailable for comment, but interested parties are encouraged to contact the office at 471-2500 and to sign up for the informational seminar. If you are on a limited income and weight loss plans are not affordable, you may wish to check out “The Weigh We Were” at www.theweighwewere.com for weight loss tips, recipes and inspirational stories. The one common factor that all weight-loss programs share is that the majority of us do not eat properly or exercise enough. Our society has become more fast-paced and based on instant gratification in the last 20 years, and perhaps that can partially explain the gradual but continual rising percentage of overweight people. Microwaveable breakfast sandwiches have replaced fruit at the breakfast table, lunch is often purchased at a drive-up window or a frozen entrée with high sodium content, and gone are the leisurely, home-cooked nightly dinners. Evenings outside involved in physical activity are replaced by television or meeting the demands of varying school and work schedules, with a significant loss of time for personal needs. There is also no quick or easy fix — all weight-loss programs advocate a lifestyle change, not simply a short-term dietary change. It can be difficult in the beginning, but the benefits can be well worth it. As we age, the health risks associated with obesity are significant and often costly. Put that on your plate and weigh the options.